Are you looking for great gift ideas that every child will be excited to find under the Christmas tree this year? Don’t worry! Whether you missed Black Friday or are just beginning to search for the perfect gifts, Theresa’s Reviews has you covered! 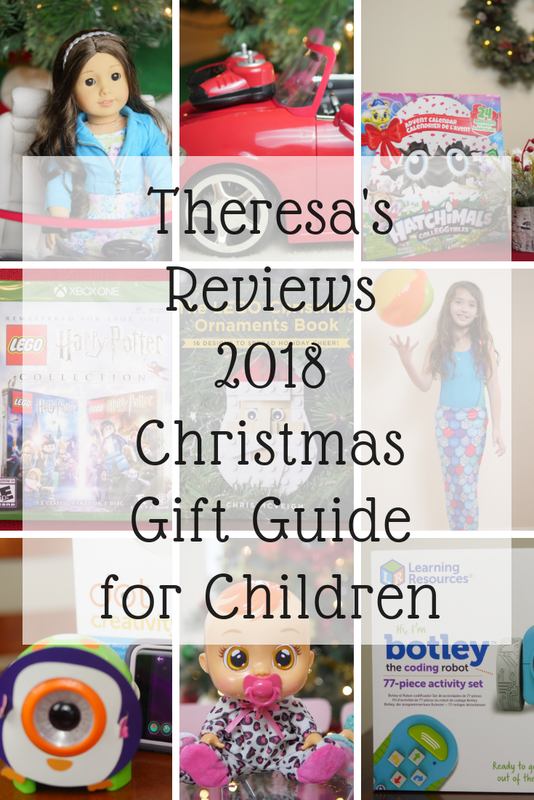 Each year since 2014 on Theresa’s Reviews, I search for the top toys that my children are excited about for the holidays. This year’s 2018 Christmas Gift Guide for Children features a range of gifts that include dolls and accessories, books, robots, collectable toys, and video games. First, the American Girl RC Sports Car Sports Car is an extremely hot item and on every little girl’s wish list. After one of my readers asked if I had tried it out yet, I saw it on display in the flagship American Girl store in New York City. With bright red color, the car comes with a detailed interior including doors that open, a cup holder, an adjustable rear view mirror, and seatbelts for two 18″ dolls. In addition to working headlights, taillights, and a horn, the car comes with a rechargeable battery pack and a remote control for driving the car on flat, hard surfaces. If Santa’s elves have ran out of these cool cars, the Truly Me dolls from American Girl are just as exciting and will have every child excited to have a new friend. My children enjoy having dolls that look just like them and that come with modern clothes. If you like a doll with a story, another favorite is Tenney, the singer and guitar player from Nashville. She is only available until 12/31/2018, or until supplies last! Last year every kid wanted the ultra-realistic LuvaBella doll that cried. This year the crying baby phenomenon continues with the hot item, Cry Babies. Each doll comes with a different hair color, which include orange, pink, purple, and light pink. With different styles of onesies, the dolls wear outfits inspired by bunnies, mice, lambs, and leopards! When you fill up the dolls with water, watch them cry and listen to them whimper! Insert the pacifier to help calm the babies. Check out a review and a giveaway for Cry Babies on The Sammie and Georgie Show in the above video! All parents hope their kids ask for something practical for Christmas, but what kid want socks? Luckily, STEM-focused toys like the Dot Creativity Kit are making their way onto children’s toy list, which provide great educational value. This robot works in unison with an app to allow children to code the steps that the robot will do, whether it makes noises, lights up, or repeats a recording. With the Dot Creativity Kit, items included are the Dot robot with the charger, cardboard accessories, a squishy case, a constructable mood lamp, project cards, and more! 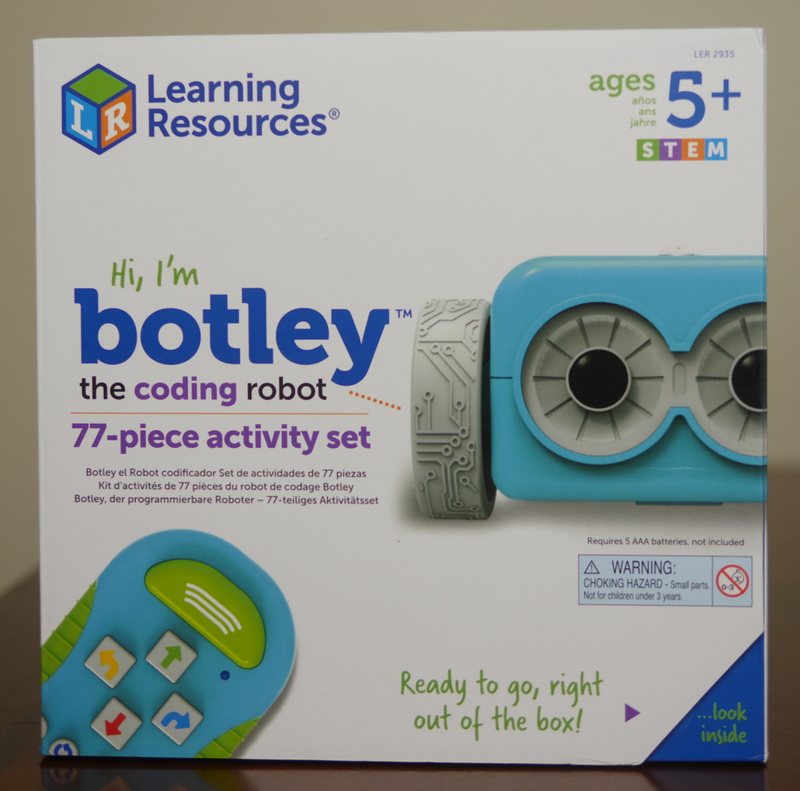 If you are shopping for a younger child, another awesome option for a robotic toy is Botley the coding robot. Since this robot is 100% screen free, this is an excellent choice for children who aren’t using tablets or smart phones. Instead of using a device, it has an easy-to-use remote programmer that transmits your commands. Some of the features are that it detects objects, follows looping commands, navigates obstacle courses, follows black lines, and more! While robots offer entertainment, STEM kits offer a creative and fun experience. 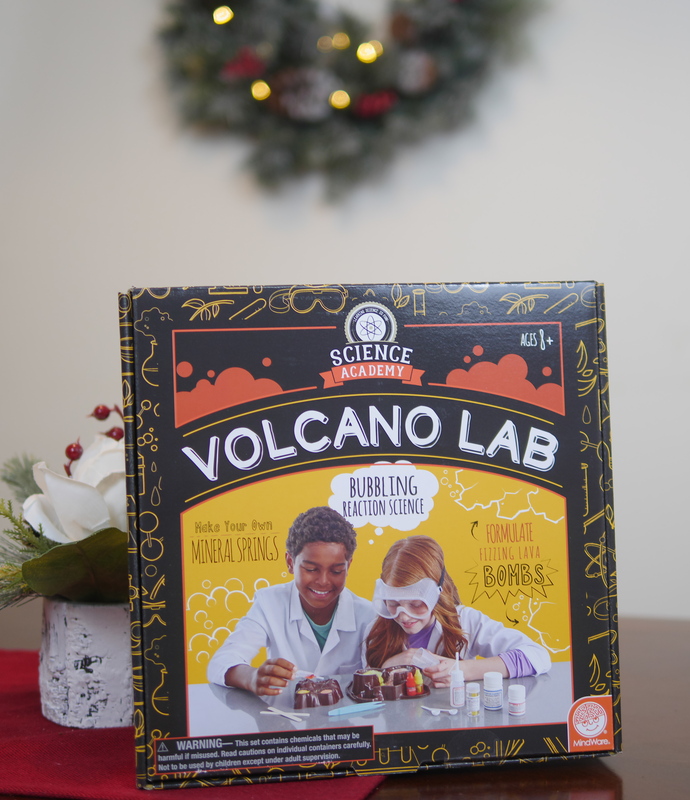 From Mindware, the Science Lab: Volcano Kit contains everything you need to conduct a volcano science experiment, including safety goggles, latex free gloves, lava foam, and more! If you can’t make it to a warm beach this summer, at least you could learn about sea animals with this neat Dig It Up! Discoveries: Sea Life kit! Last year, my children were really excited about the Dig It Up! 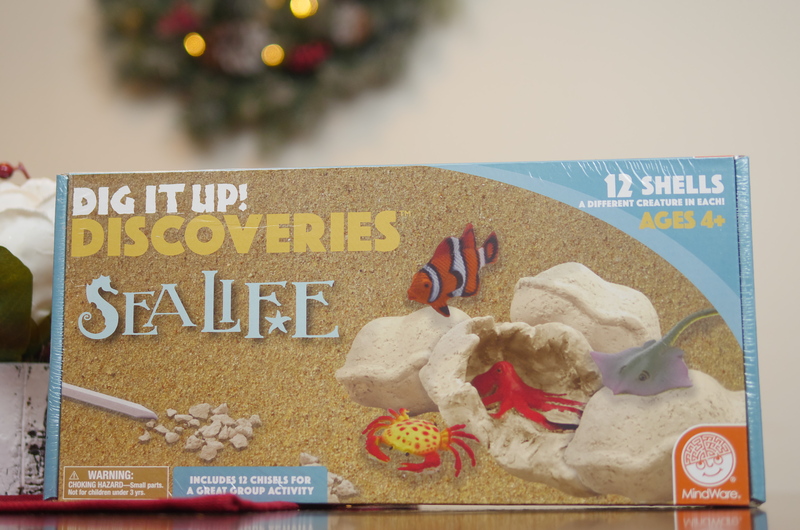 Discoveries: Dragon Eggs and Fairies kit, but now that they have hermit crabs as pets, this sea life kit is the perfect pick! 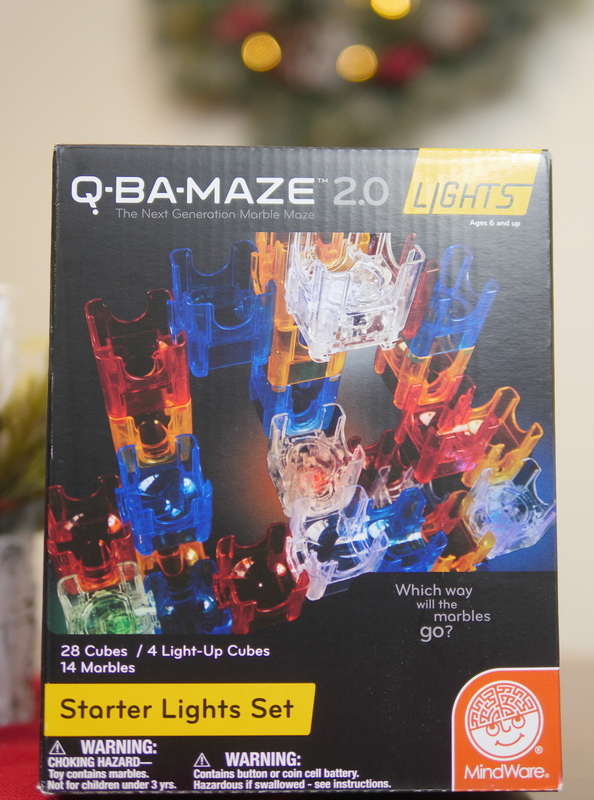 While the Mindware Q-BA-MAZE Rails Builder Set has been popular for years, now you can get the Q-BA-MAZE 2.0 Starter Lights Set! This kit comes with four light-up cubes to help turn your creation into a fantastic display of engineering skills! Create your own marble run and see where the marbles go, now at nighttime too! Everyone parent knows Hatchimals! However, do you know that it’s not just a big egg with a lovable creature inside? Now Hatchimals can be found in advent calendars, smaller eggs, and more. 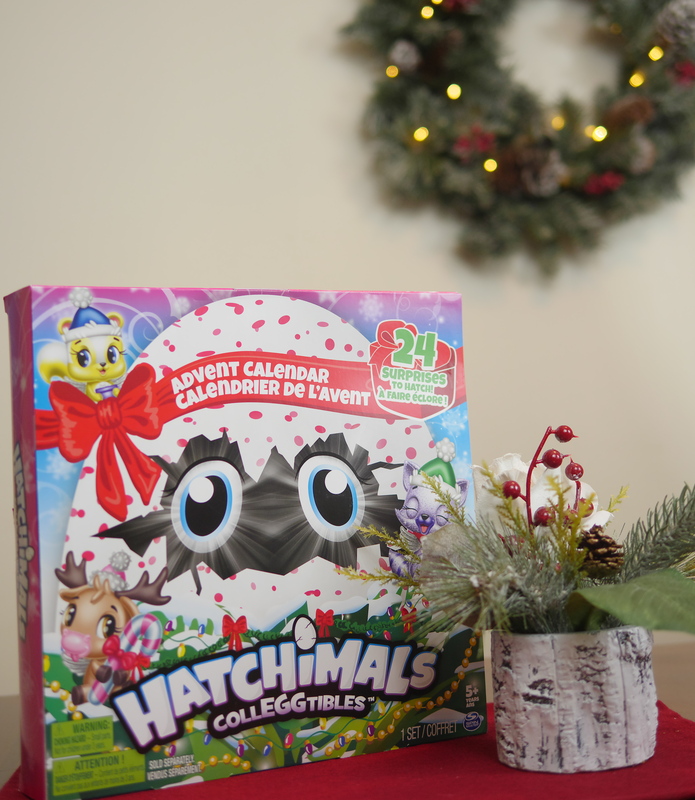 Start the holiday season with the Hatchimals Advent Calendar. With 24 different surprises, you might get a Hatchimal or a fun accessory, like bows, a Christmas tree, and more! 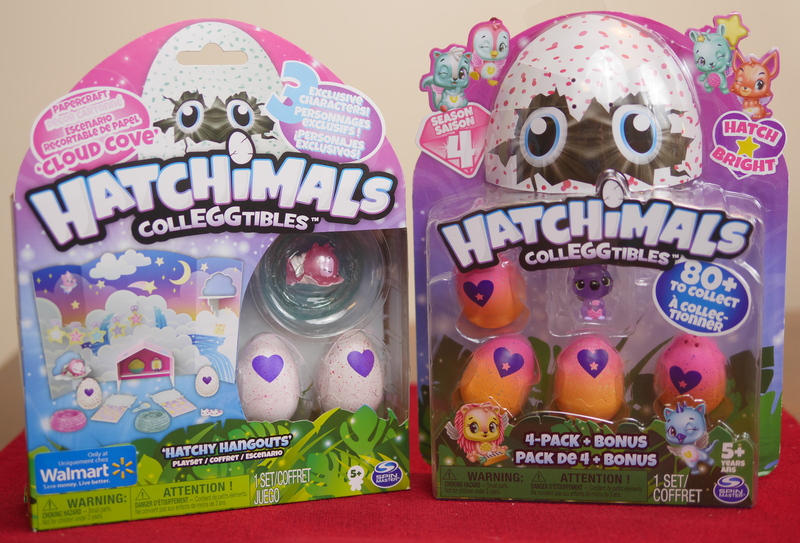 Hatchimals also come in small collectible packs. With Hatchimals Cloud Cove, children can craft a night scene where your Hatchimals can play together. 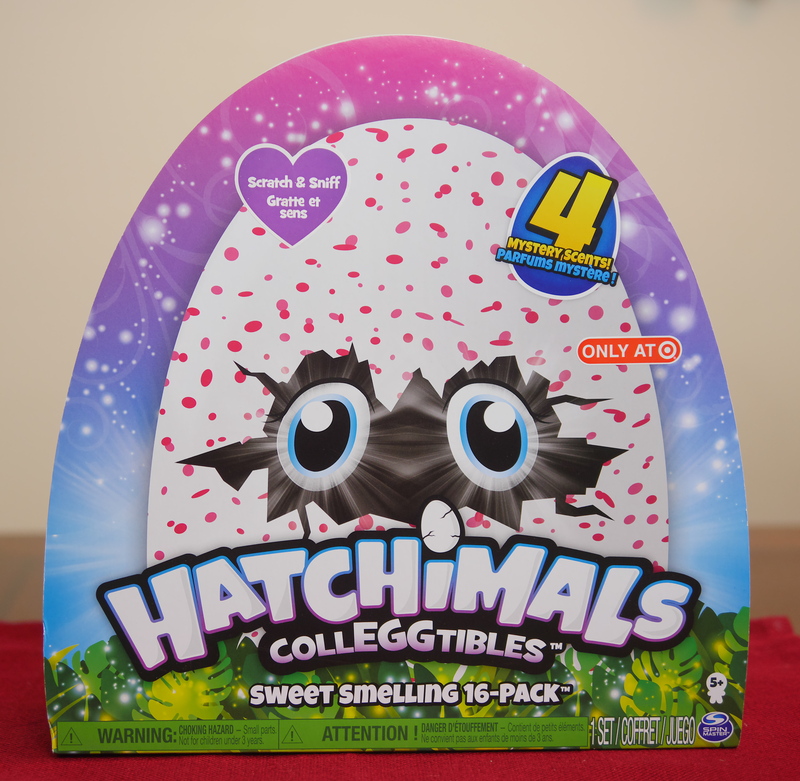 Then, with Hatchimals 4 Pack Season 4, children get a surprise with each egg that they open. These small surprises are great to keep in your home in case you might have friends or family drop by with children who could use a last-minute holiday gift! 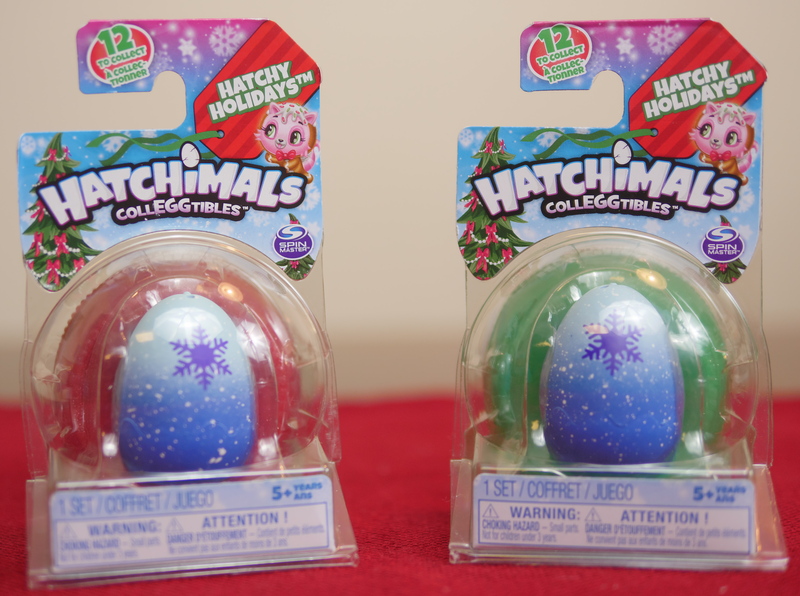 If you are looking for a stocking stuffer, check out the Hatchimals CollEGGtibles Hatchy Holidays! These individual packs are perfect for fitting in a stocking. One more is the Scratch and Sniff Sweet Smelling 16-pack. These sweetly scented Hatchimals come in four mystery scents and have exclusive characters with their own adorable accessories! I know it’s just December and everyone is wearing big coats and wiping sniffling noses, but who isn’t still daydreaming about a warm summer day by the pool? I know my children are! So, when they find this cool Rainbow Fish Mermaid Tail with the Swim Monofin, they will be excited at the prospect of a day splashing in water! Not only is it exciting to look forward to warmer summer weather, but this adorable swim accessory makes me want to book a winter getaway to hotel with an indoor pool! One of my fondest memories as a kid was playing Monopoly and other board games with my parents, and I’m sure it was theirs as well. Nothing brings a family together like game night. While that was a long time ago, children have moved onto video games. The ones listed below are kid friendly and are great modern way to have a family night. Whether you are shopping for girls or boys, video games are a fun gift idea. 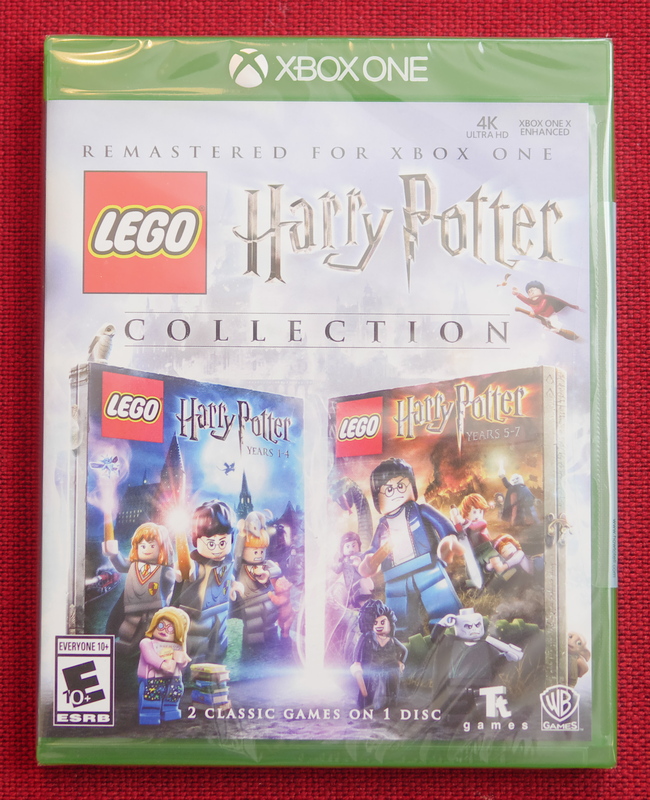 With the Lego Harry Potter Collection on X Box One, children can enjoy casting spells, making potions, solving puzzles and more with enhanced graphics that bring the story of Harry Potter to life! For fans who are eagerly awaiting Fantastic Beasts: The Crimes of Grindelwald, this is an awesome gift to immerse yourself in the J.K. Rowling’s wizarding world of Hogwarts. 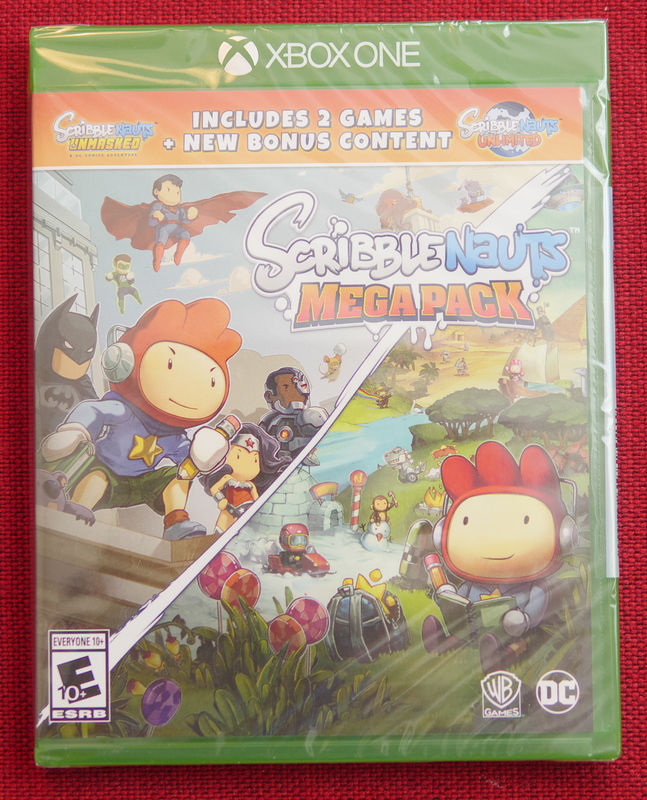 Another video game is Scribblenauts Mega Pack, which is also available on X Box One as well as on Nintendo Switch. This epic adventure game challenges earth’s mightiest villains. It comes with two classic games that allow you to join the DC Comics to explore exciting, all-new locations like Titans Tower and Belle Reve. 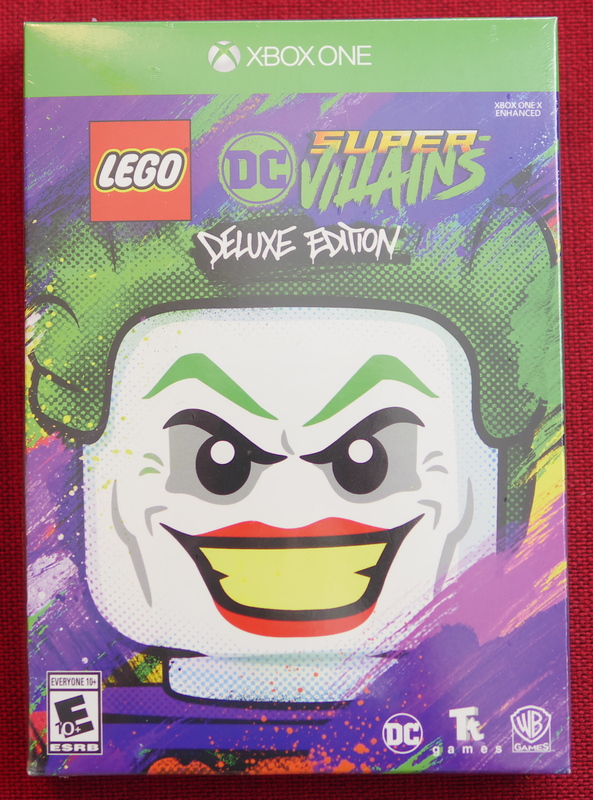 Then another choice for older children or tweens in Lego DC Super Villains: Deluxe Edition. While playing as one of the worst villains in the DC universe, players can join the most famous super-villains, which include the Joker, Harley Quinn, Sinestro, and more! This deluxe edition comes with a season pass as well as early access to DC Superheroes: TV Series Character Pack. Next, books are a must-have every holiday season! For children interested in STEM and building, I have some awesome picks. In Beautiful Minecraft by James Delaney, gaming becomes art with stunning artwork built in the Minecraft game. Whether your children are big fans of Minecraft or casual players, they will enjoy the beautiful creations in this book! Is your child an avid Lego builder? If so, give Lego Micro Cities by Jeff Friesen. While providing inspiration to builders, this book shows detailed classic architectural styles built only with Lego blocks. For a festive holiday gift idea, give The Lego Christmas Ornaments Book by Christ McVeigh. This book provides instructions on how to build 16 Christmas designs, including Santa, a reindeer, and more! With simple, easy-to-follow directions, this is a fun way for builders to spread holiday cheer! For children who are interested in filmmaking and animation, give The Lego Animation Book by David Pagano and David Pickett. This book teaches basic stop-motion animation techniques using Lego pieces. Another option is to learn how to build a Lego city in The Lego Neighborhood Book 2 by Brian Lyles and Jason Lyles. Not only does this book teach how to create entire buildings, but it also shows the steps to make architectural features that include detailed interior, furniture, and more. Looking for more toy ideas? Check out Theresa’s Reviews 2018 Stocking Stuffer Gift Guide. For more holiday tips, follow Theresa’s Reviews on Facebook, Twitter, Instagram, Pinterest and YouTube. Your turn! What gifts are on your children’s wish list this year? Share in the comments!